Moeen Ali and Sam Curran have been recalled to the England XI for the fourth Test against India at the Ageas Bowl, with Ollie Pope and Chris Woakes missing out. Jonny Bairstow will play as a specialist batsman and move up to No 4, meaning Jos Buttler will take over behind the stumps. Ali, playing his first Test of the summer, will provide a second spin option and is expected to bat at No 7, while Curran replaces Woakes, who has been ruled out due to a thigh issue. Joe Root praised Ali's recent form for Worcestershire and believes the all-rounder has provided an example to any England player on how to respond to being dropped. "Chris Woakes is not fit to play this week and Ben Stokes has a slight issue so, for the balance of the side, Moeen Ali comes in for Ollie Pope. [Moeen] is in fine form, isn't he?" Root said. "He's gone back to his county and what you want from international players is for them to go back and prove a point and really stand out, that's exactly what Moeen has done. "He seems in a really good place and that's a good sign for England moving forward. I'm really pleased for him because he's obviously gone away and worked really hard at his game." 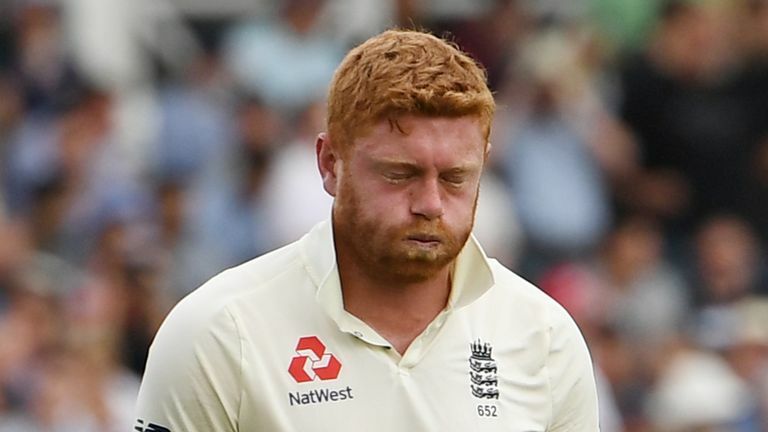 The England captain also confirmed that the decision to take the gloves from Bairstow was purely medical, although he refused to guarantee that his fellow Yorkshireman would be assured of returning to wicketkeeping duties once his fractured finger is healed. "It was a medical call. He didn't seem fit to keep at 100 per cent in a Test match for five days, and that was the call that was made," he added. "He will be disappointed but ultimately, we've got to do the best thing for this team to win this game. "There are no guarantees in international sport and it has opened the door for someone else. Jos has got an opportunity for this game and, potentially, the rest of this series, we'll have to wait and see and I think that is a good thing in terms of development for this group." The changes come as England look to get back to winning ways after defeat in the third Test at Trent Bridge cut their lead in the five-match series to 2-1, with two Test to play. Meanwhile, Virat Kohli confirmed that Ravichandran Ashwin has fully recovered from the hip injury that plagued him during the third Test and could be set to name an unchanged side for the first time since taking over as India captain in January 2015. England team to play fourth Test: Cook, Jennings, Root (c), Bairstow, Stokes, Buttler (wk), Ali, Curran, Rashid, Broad, Anderson. Probable India team to play fourth Test: Dhawan, Rahul, Pujara, Kohli (c), Rahane, Pandya, Pant (wk), Ashwin, Shami, Sharma, Bumrah. Watch day one of the fourth Test between England and India from 10am, Thursday on Sky Sports Cricket.